By Joseph Herron: Boxing is a symbiant industry and is very much like a family, in which everyone involved depends on each other. Currently, one of the sport’s most prominent figures is in need of prayer from the entire boxing community. According to sources close to Hall of Fame trainer Emanuel Steward, the boxing icon underwent surgery last week to repair an undisclosed stomach ailment and is currently in recovery at an unnamed location. 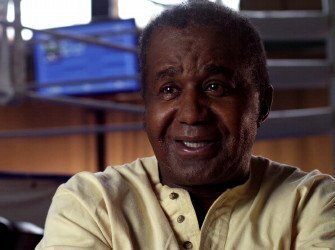 While ambiguity encases the 68 year old boxing legend’s condition, everyone associated with the beloved trainer is absolutely certain that the world of boxing is a much better place when Emanuel Steward is involved. Everyone who has ever crossed paths with Emanuel gives a very similar testimonial. But the Houston, Texas resident recognizes firsthand how special Steward is as a trainer and mentor. “He’s one of the few trainers in the sport who can take a kid off the street and turn him into a world champion,” insists Ronnie Shields. While there are many proficient trainers in the sport today, Ronnie claims that the Kronk Gym captain is without a doubt the very best in boxing. While everyone remains hopeful and positive that Emanuel will make a full and speedy recovery, Mr. Shields recognizes the importance of prayer in a time when healing is required. To send your prayers and good wishes to Emanuel Steward, please direct them to info@emanuelstewardonline.com.